POLITICAL TIDBITS: DQ issue vs. Grace Poe is top story, with Imelda Marcos parrying Poe's paternity issue in an oblique way. In the SC the DQ issue is super-high stakes game, and while some insiders opine that voting among the justices could be quite close, many factors could come into the picture that are tough to predict. DQ issue vs. Grace Poe is top story, with Imelda Marcos parrying Poe's paternity issue in an oblique way. In the SC the DQ issue is super-high stakes game, and while some insiders opine that voting among the justices could be quite close, many factors could come into the picture that are tough to predict. In various social gatherings over the holidays the topic was mainly politics--and invariably it was about Sen. Grace Poe and her fight to stay in the race. For instance, at a gathering in a Makati residence towards Christmas, former First Lady Imelda Marcos was overheard parrying the oft-whispered issue that the senadora is her husband Ferdinand Marcos' daughter with a former actress. Imelda replied obliquely, with a laugh, "E pati nga daw si Imee (Gov. Imee Marcos of Ilocos Norte) e anak daw ni (Mayor) Arsenio Lacson. Kasi daw Miss Manila ako noon!" Everyone at table laughed with Ms. Marcos, and then an intrepid visitor, encouraged by the Imeldific's nonchalance, showed her a photo of Grace Poe circulating in the internet, that cleverly mingled features of her face with those of the late strongman (as only the internet can manipulate). Imelda took a good look at it and then laughed with ill-disguised amusement. At the Supreme Court Grace Poe also remains hot topic, as last Dec. 28 Chief Justice Ma. Lourdes Sereno issued two TROs halting enforcement of the Comelec's en banc ruling---based on the earlier ruling of two of its divisions--- that disqualified Grace Poe from the coming presidential elections. Sereno issued the twin TROs just two hours after Poe's counsel, George Garcia, filed a petition before the SC to nullify the en banc Comelec's disqualification (DQ) ruling. Poe accused the poll body of abuse of grave discretion and authority. The Comelec's DQ was based on the grounds of her alleged failure to present conclusive evidence of her being a natural-born Filipino citizen and her lack of the 10 year-residency required by the Constitution for presidential candidates. Sereno's twin TROs vs. Comelec are valid under the rules of the High Court in emergency cases, but what made their issuance very dramatic was that aside from being ordered at the very end of the work-year and with the SC on recess until Jan. 10, these TROs will save Poe's name from being delisted in the ballots to be printed by the Comelec by mid-February. Adding to the high drama was the fact that the SC also issued a "revised TRO" the day after its TROs vs. Comelec---ordering the three private practitioners who had also filed DQ cases vs. Poe, to also submit their comments within 10 days from notice. Hearing on all these four DQ cases is set for Jan. 19. One petition was earlier filed by lawyer Manny Luna on behalf of former senatorial candidate Rizalito David in the Senate Electoral Tribunal (SET) and subsequently appealed to the SC. 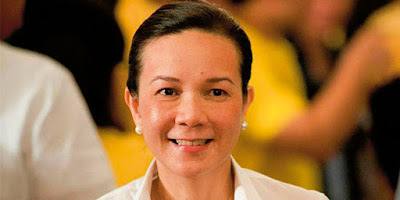 DAvid accused Poe of being ineligible for the Senate, owing to her alleged failure to present proof of her natural-born status (a requirement also for senatorial candidates) and asked that she be excluded from the Senate. The two other petitions were filed with the SC by former Sen. Francisco Tatad and former UE Law Dean Amado Valdez, seeking Poe's DQ from the presidential race. Standard columnist and former Quezon Rep. Danilo Suarez opined that the SC "gave what may be deemed a belated Christmas present to Senator Grace Poe" in the form of the TROs vs. the Comelec's DQ order. Why so? For one thing, the SC TROs render moot for the moment the three private petitions to DQ Poe, whose obvious intent is to seek the SC's final ruling early enough---so that Poe's name would be prevented from being entered into the ballots to be printed early next month. Final printing of some 50 million ballots for the May 2016 elections is set by Feb. 10---a threshold date that cannot be moved any more. To some observers, the SC's scheduled Jan. 19 oral hearing comes too close to the printing of the ballots. After that hearing usually a memorandum is required of the parties within 10 days, so that the earliest date for submission of the SC's final decision could be at the end of January---unless the High Magistrates, driven by a sense of urgency about the ballot printing, would come to a vote within days after Jan. 19. But even if the magistrates could arrive at a vote within this time frame and they indeed sustain the Comelec's and three private petitions to DQ Poe, under the rules of court she is allowed to file a motion for reconsideration. That could mean easily another two weeks whereby Poe---and her followers---hang by a thread. But further complicating Poe's possible DQ, there's also her own petition seeking to inhibit three very senior SC justices--namely, Senior Associate Justice Antonio Carpio, and Justices Arturo Brion and Teresita Leonardo de Castro--- from participating in the SC's decision on her DQ. Poe argues that these three justices had already voted, along with Sen. Nancy Binay, to DQ her in the recent SET decision on the legitimacy of her election to the Senate. These four SET members held that Poe is not a natural-born Filipino---vs. five senators who voted to allow her to stay as senator. Poe argued that the three justices "had already prejudged" her case and therefore they ought to inhibit themselves from the SC deliberations on her case, and much less vote on it. Frankly I cannot follow Poe's argument in seeking the three SC magistrates' inhibition. They sit in the SET by virtue of the decision of the entire SC and it's a function they fulfill under the Constitution. True, they voted against Poe in the SET decision on her eligibility to sit as senator, and it's entirely foreseeable that they would vote the same way in the SC case, but why should that be taken against them? Some SC insiders predict that the vote on Poe's fate would be close and could go either way, though many more observers are predicting her DQ than not. Personally I think she would be DQed as the grounds are quite clear. One thing, however, should be kept in mind---pending in the SC is a super high-stakes game and anything can happen. For instance, how the five justices appointed by President Aquino would vote is a matter of high interest, for it could indicate that P-Noy could be playing the Grace factor as well, in the event that LP candidate Mar Roxas doesn't rise enough in the surveys. For instance, a lot of speculation is being attached to the fact that Justices Mariano del Castillo, who had voted with the administration on various cases, and P-Noy appointee Marvic Leonen got to handle the Poe case in a raffle among the justices. But what happens if Poe's eligibility cannot be decided early enough by the SC with finality? This means that her name would have to be included in the ballots printed by Comelec. What happens if she is DQed, but wins the elections nevertheless---because her name has remained in the ballot and due to the sympathy votes that Filipino voters have been known to cast (it's generally acknowledged that P-Noy won because of overwhelming sympathy over Cory Aquino's passing)? Senate President Franklin Drilon has been pressing for the early resolution of the DQ issue vs. Poe, as he precisely fears that trouble could ensue if she's DQed but still wins in the vote. There's reason in his current appeal. Though Poe's followers have somewhat dwindled owing to the uncertainty of the ruling on her cases, it's easy to foresee that they could foment trouble and unrest if she is DQed but wins the elections. The SC has to rule decisively and with finality ASAP on Poe's case---for the stability of the country and in fairness to her. If she is not qualified as per the Constitution, then DQ her soonest. KUNG MALI MALI STICK TO WHAT THE CONSTITUTION SAYS! The Voice of the People is the Voice of God. Why not allow her to run and let the people decide her faith. Ang mga taong takot na takot na maisali sya sa pagpipilian ay gagamitin ang laht ng paraan para madisqualify sya sa labanan. Huwag pabayaang maulit ang kasaysayan na ang namuno sa atin ay di gusto ng mga taong bayan. how would you conclude that POE is the voice of the people..PHILIPPINES is still under the rule of law. Let the law speak by itself.She was dq..so let it be! CITIZENSHIP IS A QUESTION OF LAW AND RESIDENCY IS A QUESTION OF FACTS , SHE FAILED ON BOTH. WHAT THE HECK? Yes indeed! No matter how harsh the law is, still it is the law. About to uphold the RULE and MAJESTY of the LAW!!!!!!!! No one is above the law. Alin ba sa constitution ang hindi malinaw? isn't the Constitution the voice of the people? the people have already decided through the Constitution. Yes, we must uphold the law!! If Poe is allowed to run , then we are not a country of laws but of men, and that cheapens the Republic of the Philippines. And besides , Poe' s followers mainly are the bobotantes., those not educated and mostly class E. She is not really qualified for the presidency , not mentioning her DQ issues of residency and citizenship . She is a woman and not Tough enough and with no experience in gobernance. Poe is No Margaret Thatcher , former prime minister of Great Britain nor Indira Gandhi of India. With the very serious problems of the country ie. corruption, crime , drugs Poe Cannot tackle the chaotic Philippines...and Poe has no insight with horrendous problems of the country, she just too ambitious at the detriment of the Pilipinos. The tough guy , brave , with Guts, a long experience and proven good gobernance is Duterte. Poe is not comparable with Duterte nor Mirriam ( if only she not sick) . I will not be proud Poe to be my president , do you ?? Will the justices of the SC , like Poe to be their president ?? Why do they dilly dally in making their DQ decisions. ?? I am afraid something maybe cooking. ?? It's clear either residency and citizenship , Poe did not meet the requirements , you don't need to be a lawyer to count the years for her residency as well as her being Not natural born citizen ie no one knew her parents , it's just presumably her parents were Pilipinos , but it can't be presumably. In other countries esp the USA this issues are LONG decided .